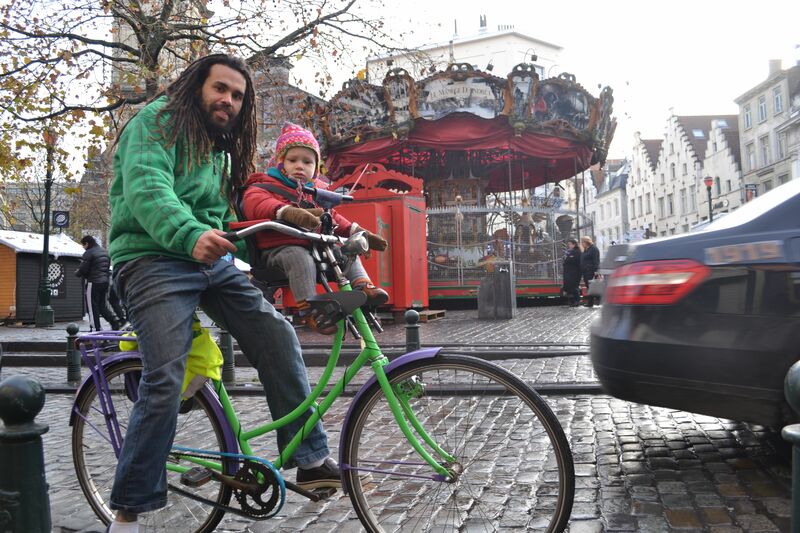 ©Barry Sandland/TIMB – City streets in Brussels are often where bikes excel. The smaller roads in the city centre are perfect for two wheels to glide along and make time, while cars sit in traffic. Photographer’s notes: Check out the colour on the bike. Frames and fenders all in a wild splash. This entry was posted in Europe, kids on bikes, vintage and tagged 2014, Brazil, commute, December, vintage. Bookmark the permalink.